How do we explain our stubborn hearts and conniving ways? How do we explain Auschwitz, human trafficking, abuse? If I were the devil, I’d want you to feel attacked by an indefinable force. If I were the devil, I’d keep my name out of it. But God doesn’t let the devil get away with this. He tells us his name: splitter, a divider, a wedge driver. Don’t fault the plunging economy or a raging dictator for your anxiety. They are simply tools in Satan’s tool kit. We can’t understand God’s narrative without understanding Satan’s strategy. Scripture says, “the reason the Son of God appeared was to destroy the works of the devil” (1 John 3:8). God calls the devil by name and promises to defeat him. So, be assured, his days are numbered. God will help us stand against the Devil. He will disclose the craftiness of Satan. But we must regularly consult him in everything. The Scriptures say that God’s word is a lamp unto our feet (Psalm 119:105)…but it doesn’t say it is a spotlight into our future. 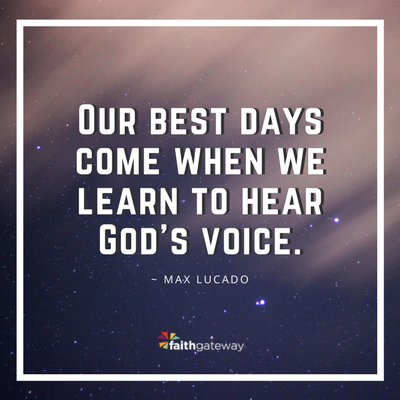 Our best days come when we learn to hear God’s voice telling us to turn this way or that way. “Right behind you a voice will say, ‘This is the way you should go, ’whether to the right or to the left’” (Isaiah 30:21 NLT). Like David, we can ask God to “bend low and hear my whispered plea” (Psalm 31:2 TLB). Wait until God speaks before you act. The promise says, “I will instruct you and teach you in the way you should go; I will guide you with My eye” (Psalm 32:8). If you feel a check in your heart, heed it and ask God again. 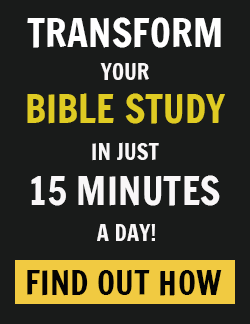 It’s the only way to outwit the Devil’s deceit! Vengeance is God’s. He will repay—whether ultimately on the Day of Judgment or intermediately in this life. God can discipline your abusive boss. He can bring your ex to his knees or to her senses. Forgiveness doesn’t diminish justice; it just entrusts it to God. He guarantees the right retribution. The God of justice has the precise prescription. Forgive your enemies? Ah, that’s where you and I come in. “Do not let the sun go down on your anger,” Paul wrote, “and do not give the devil an opportunity” (Ephesians 4:26-27). Don’t give the devil territory or ground. Bitterness invites him to occupy a space in your heart, to rent a room. Believe me, he will move in and stink up the place! When it comes to forgiveness, all of us are beginners. Stay the course! 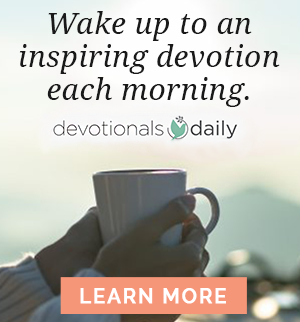 Excerpted from There’s More To Your Story, God Is With You Every Day, and You’ll Get Through This by Max Lucado, copyright Max Lucado. Published by Thomas Nelson.